This statistic shows the results of a 2013 survey regarding the sources utilized in learning about new electronic products in the U.S. in 2013. 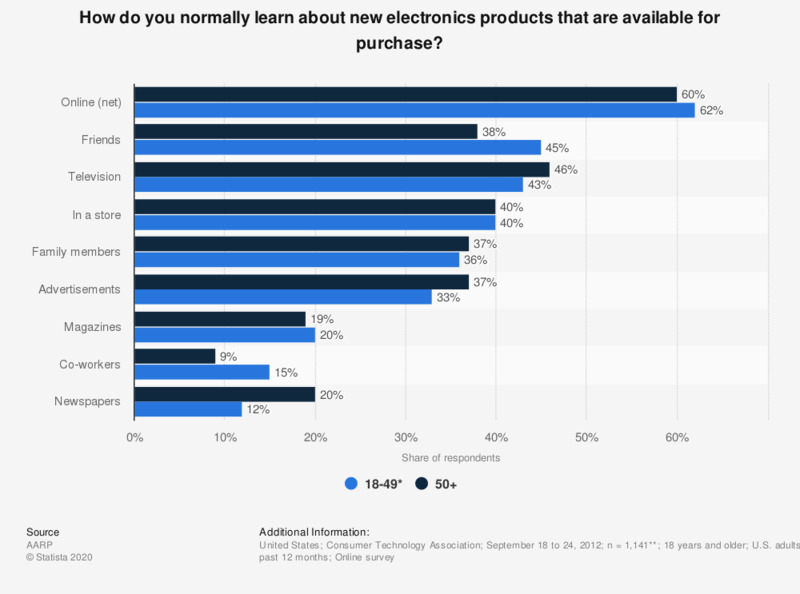 The survey revealed that 45 percent of the respondents between the ages of 18-49 ask their friends about new electronics products. ** Ages 18-49 (650); Ages 50+ (491).